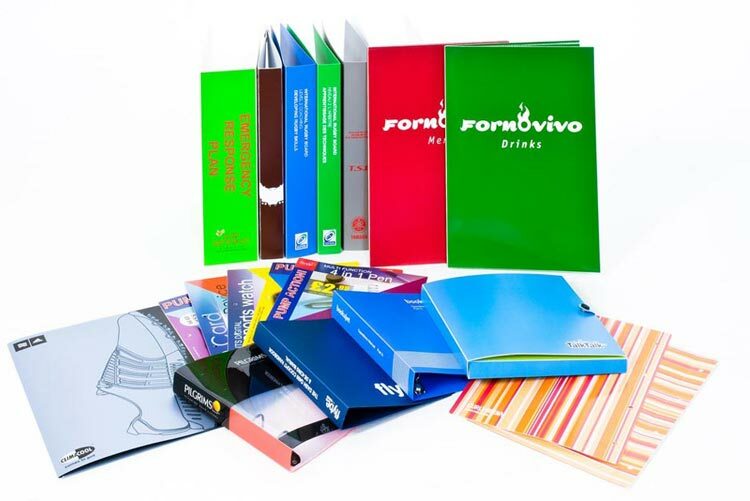 We produce ring binders in several materials, principally polypropylene & Paper over Board (POB) but can happily supply PVC. These can be plain, silkscreen printed, litho printed, foil blocked, embossed or debossed the choice is yours. With a wide range of ring mechanisms such as 2, 3 or 4 ring, ‘O’ or ‘D , Lever arch or Trigger. We can add pockets, business card spine, half page or full page by ultrasonically welding pockets to Polyprop binders & apply self adhesive ones to Paper over Board (POB). And finally you may want a closure, which we can be a press stud or elastic. These can then be supplied with a matching polypropylene or POB slipcase. We can also supply divider sets to fit your binder of any size, any shape and any colour & any number of tabs. We are based in Alton, Hampshire and can delivery worldwide. As mentioned throughout the website, no job too big, no job too small. Contact us to get the ball rolling today.